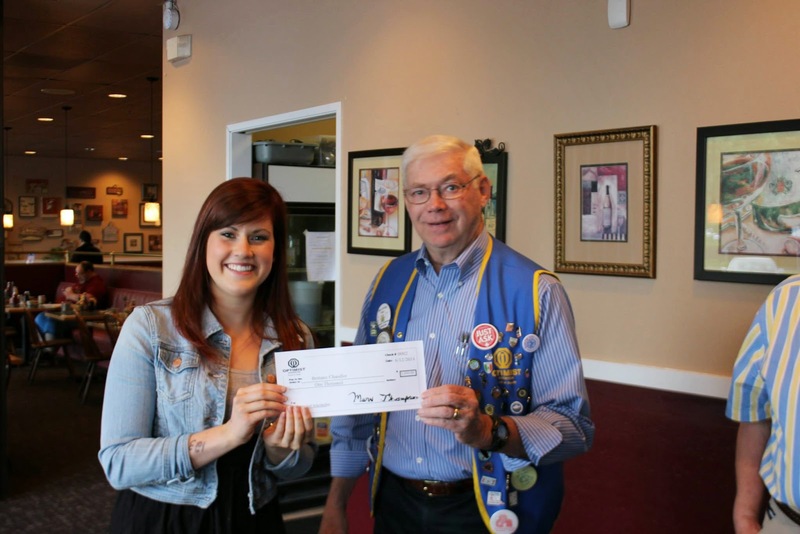 The Beaverton Optimist Club had a busy day on Thursday, June 12, 2014. The first order of business was to honor Brittany Chandler as the recipient of the Dean Mitchell Public Safety Scholarship. Dean Mitchell was a local businessman, former Optimist Club president and district lieutenant governor. As an Optimist, one of his favorite club projects was the Respect for Law program. 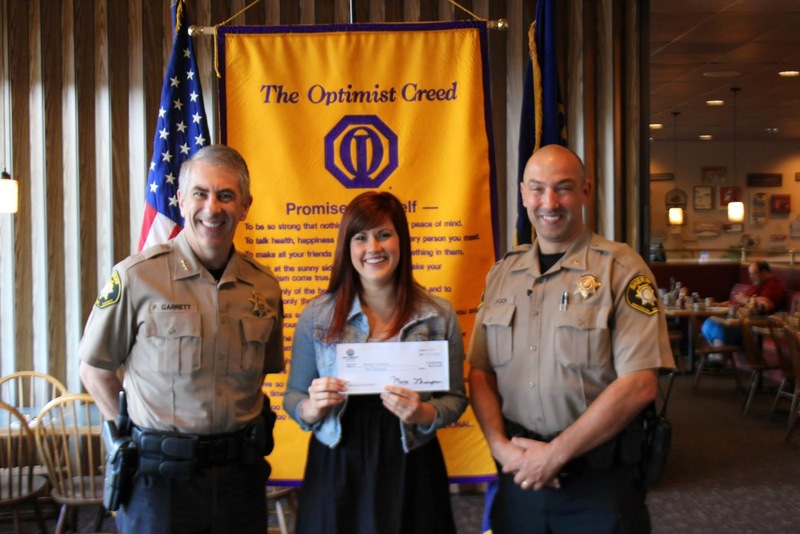 After his death, his widow helped the Beaverton Optimist Club establish this annual scholarship designated for a student from the Beaverton area to pursue a career in public safety. On hand to help make the presentation special was Sheriff Pat Garrett of the Washington County Sheriff's Department. And rounding out the day with a little monkey business was a visitor from the Hillsboro Optimist Club. He came to fetch the club's gavel which President Wally Johnston had graciously hidden inside a bag of wood chips. 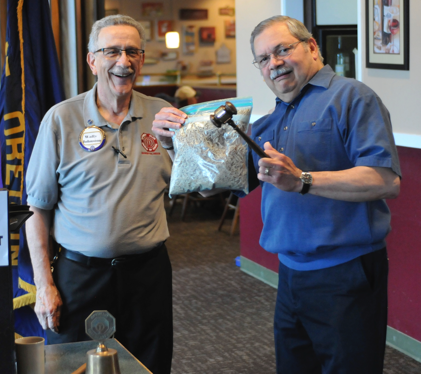 Rumor has it that the Beaverton Optimist Club's gavel is missing now! See more pictures of the day on Facebook courtesy of Eric Squires.